No Indian wedding is complete without the touch of Bollywood. While we get bridal dress and color combination ideas from the Bollywood movies, their music and songs add a spark in the Indian weddings. So, why not hold a Bollywood themed wedding? 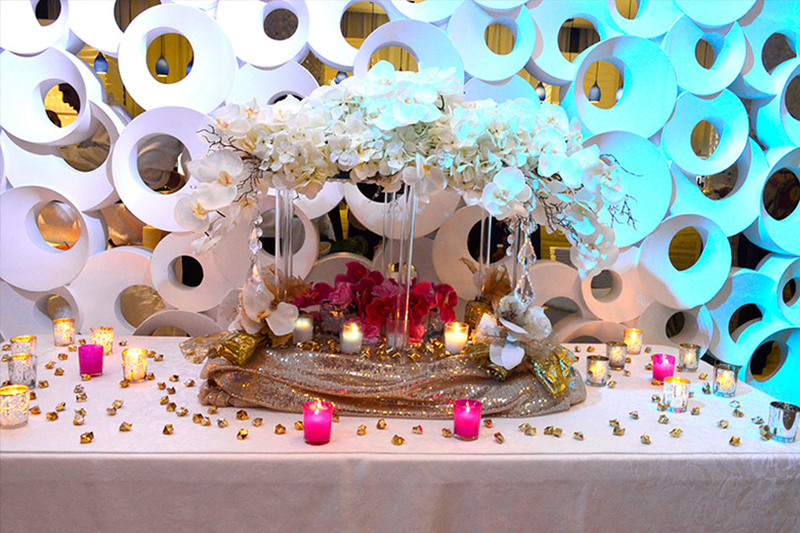 A Bollywood themed wedding is a great idea to add glamour and excitement in your marriage ceremony. However, do you know the guidelines and course of action to hold a fabulous Bollywood themed wedding? An experienced and professional wedding planner is actually the master and director of your wedding. However, he does exactly what a marrying couple desires. He acts as an assistance as well as a consultant. Thus, before you go out for shopping, hire a wedding planner as he will help you throughout your wedding and in carrying out important tasks. You can share your ideas with him, and he can give you some important references and advices. So, if you want a Bollywood themed wedding, he will suggest you the nitty-gritties and give advices regarding Bollywood style decorations, bridal dress, music and food. Other than this, he will take complete responsibility of arranging caterers and other vendors and will make sure everything takes place as planned. In short, he will play a significant role in making your Bollywood themed wedding a success. Your wedding planner can give best suggestions regarding best Indian bridal wear experts in New York and it is important to choose one who understands Bollywood theme and makes a dress according to that. It is not necessary to wear a traditional red color Saree, you can try other color combinations and dresses as well which you might have seen recently in a Bollywood movie. An expert Indian wedding dress designer will give you hundreds of wedding dress ideas to choose from, and you will surely end up getting a very unique yet Bollywood style wedding dress. An Indian wedding implies too many functions and ceremonies. So when you hold a music (sangeet) function, you should have best variety of Bollywood songs or else ask your wedding planner to find the best DJ in NY and give this responsibility to him. Of course, you can ask the DJ to play your favorite songs so that you, your friends and cousins can dance on them and enjoy. So, if your wedding is near, start collecting Bollywood’s most famous wedding songs, but don’t forget to practice the steps. Likewise, you can follow the jewelry trends shown in Bollywood movies and wear it on your wedding. An Indian wedding is a one-of-a-kind and the Bollywood theme can make is spectacular. Thus, follow these guidelines to hold the wedding of your dreams. You can contact us and our Indian wedding planners in New York as well, who will support your ideas and make Bollywood themed wedding a reality.